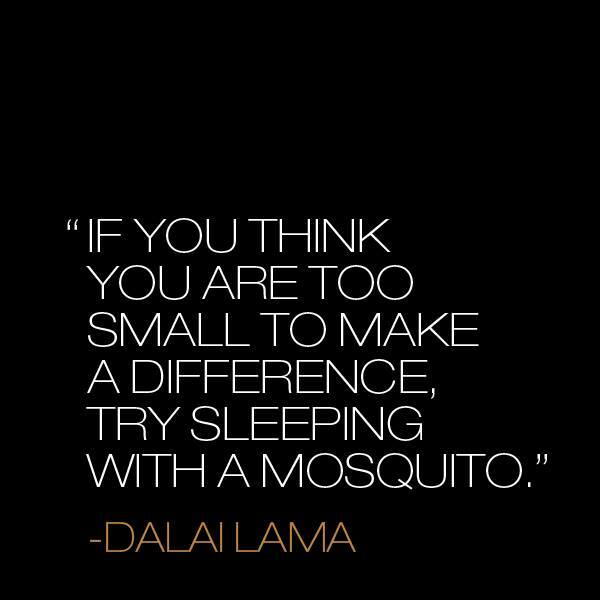 Do You Think You Are Too Small? This entry was posted in Personal Development and tagged Dalai Lama, Inspiration, Make A Difference, Personal Development, Positive, Quote, Too Small. Bookmark the permalink. 11 Responses to Do You Think You Are Too Small? I really love this quote. I’m glad you shared it. Maybe I will. I play guitar and sing in a band, perhaps it’s time for a stage name?